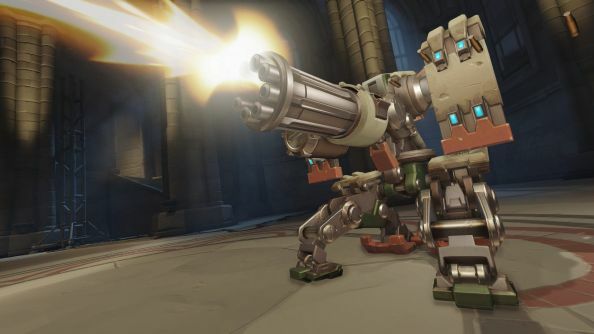 Jeff Kaplan, game director on Overwatch, held an AMA on Reddit last night to answer a some of the never-ending list of questions players have about Blizzard’s hit FPS. As you’d expect from Kaplan there were plenty of tidbits that reinforced that the studio was putting effort into making the right changes, but not quite enough to reveal the full picture. What is clear though is that Lucio is likely to undergo changes in the future, and a making of Overwatch documentary is on the way. Need to know what’s next? Check out what’s coming up in Overwatch. “Winston is the least picked hero in the game in case you were wondering,” said Kaplan. In order to try and rectify this, some new changes are coming to the PTR. “I am looking forward to seeing how the barrier changes play out from the PTR once they go live. We’ve seen that Winston in the hands of the right player — like Miro for example — can be amazing. “I think going too overboard with Winston buffs on the eve of Orisa’s release is not wise. So we need to proceed with caution here. We don’t want barriers or tanks getting out of hand,” he added. Have you been holding out on a new legendary skin for Overwatch’s French sniper? “Soon. Worth the wait,” says Kaplan, suggesting it won’t be long until there’s a lovely new Widowmaker skin. Be nice to each other, folks. One of the most fascinating elements of Overwatch is the creation of new characters, and one redditor asked if there was any chance of seeing a documentary that chronicled the creation of a new hero from start to finish. “We have something for you!” replied Kaplan, suggesting that a video with that kind of subject should be on its way in the future. Perhaps the game’s upcoming first anniversary is a perfect opportunity? The PTR has always been a little illusive. While Kaplan released a video a few months ago explaining Blizzard’s testing philosophy, it’s never been wholly clear how they use the PTR. Thankfully Kaplan gave a great answer in the AMA that offers further detail and clarity. “I always describe our approach as the “triangle”. I feel like there are 3 key factors that guide us: The players, statistics and… us… our own feelings as players,” he said. Apparently it’s rare that all three will align; for both the recent Bastion and Symmetra changes it was based entirely on Blizzard and player feelings rather than statistics. “Historically, the balance feedback has been very unreliable from the PTR,” he added. “It’s still good to hear how people react and what their perception is. 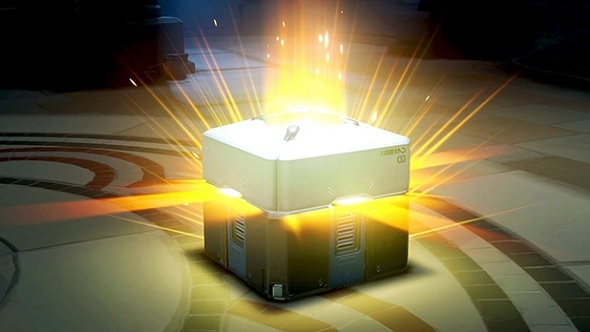 But the reality of ‘quality matches’ doesn’t happen too often in a test environment.” As such, internal Diamond+ ranked players help out with feedback, and pro players let Blizzard watch their PTR scrims. Titan, the Blizzard MMO shooter that was in development from 2007 to 2013 and eventually became Overwatch, featured a class called the Jumper. “Blink, Recall and Pulse bomb were all designed for the Jumper… as well as dual wielding machine pistols,” said Kaplan. 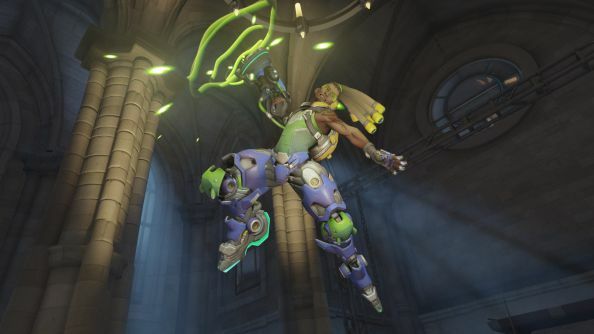 You can probably see which Overwatch character the Jumper turned into. While most Overwatch heroes don’t have their roots in Titan, several can trace their abilities back to an idea Blizzard had for the ill-fated MMO. Windowmaker evolved from a class called the Ranger, as did Bastion and Soldier 76. The Architect eventually became Symmetra and Torbjorn, while the “big guy with shield” Juggernaut was the original idea that would one day be Reinhardt. None are straight evolutions – Overwatch characters are much simpler than the skill-tree based classes in Titan – but there are shared origin points for several. Those are the choice quotes from Jeff Kaplan’s AMA, but you can dive into the whole thing over on Reddit.